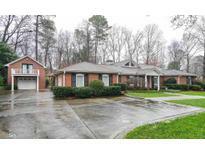 Vinings - In The Sutton And North Atlanta School Districts .Motivated Seller! MLS#6121159. Keller Williams Realty Cityside. Vinings Heights - Perfect Lot To Add A Pool! Low Cobb Taxes! MLS#8509487. Keller Williams Rlty Cityside. One Ivey Walk Vinings - Enjoy The Community Pool, Clubhouse, And Gym, And Walk To Restaurants & Bars Right Outside The Gate. Video Https://Hometouramerica.Box.Com/S/391Iga7Q06Wddp0Isr9Ltpnhrrrvxb0G MLS#6118162. Keller Williams Buckhead. 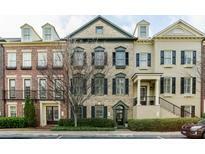 One Ivey Walk Vinings - One Car Garage With Several Spots For Parking Outside Of Townhome. MLS#6116812. Berkshire Hathaway Homeservices Georgia Properties. Vinings Heights - Do Not Wait Long Or Miss The Opportunity! ! MLS#8504739. Rcm National Realty Llc. Ivy Walk At Vinings - Spacious Family Room With Fireplace, Multiple Outdoor Areas, Office & Bonus Room. It'S All Here! MLS#6115981. Duffy Realty Of Atlanta. Vinings - So Many Upgrades That Are Standard Makes This A Must See. MLS#6115431. Keller Williams Realty Partners. Vinings - Get In Now And Pick Your Finishes. MLS#6115430. Keller Williams Realty Partners. One Ivey Walk Vinings - Walk Out The Gate Of Your Community And Enjoy A Variety Of Atlanta'S Finest Eateries. MLS#6114093. Harry Norman Realtors. One Ivey Walk Vinings - Relax In Your Large Master Suite With Spa-Like Retreat. MLS#6110074. 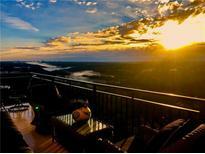 Crown Realty Inc..
Best Priced, Top-Floor Unit In Vinings Within The Perimeter. MLS#6109970. Sellect Realty, Llc..
All Appliances Included Along With Washer And Dryer. MLS#6109335. Drake Realty Of Ga, Inc..
Riverview At Vinings - Downstairs Bedroom W Its Own Full Bathroom, Built-In Shelves In The Closet & A Patio. Near I-285 MLS#6106970. Keller Williams Realty Cityside. One Ivey Walk Vinings - Perfect For Bedroom, Sitting Area And Gaming Space. Must See! MLS#6105152. Harry Norman Realtors. Vinings Overlook - 2 Car Attached Garage With Storage. MLS#6101274. Direct Link Realty, Inc..
Vinings - Yard Is Bigger Than The Fenced Area, Almost 3/4 Acre, Located On A Double Cul De Sac With Sidewalks To Shopping And Restaurants And Private Schools. Eligible For Cochise Club Swim/Tennis. MLS#8484977. Berkshire Hathaway Homeservices Georgia Properties. Vinings Mill - Lock And Leave Without A Worry In The World. Perfect For 2nd Residence. MLS#6099122. Keller Williams Realty Cityside. Walk To Vinings Jubilee Restaurants, Shops And More.Perfect Location!Enjoy The Live,Work, Play Community In Historic Vinings! MLS#6092120. Atlanta Communities. Just Minutes To Smyrna, Vinings, Suntrust Park, Shopping, Dining & Entertainment. MLS#6091329. Berkshire Hathaway Homeservices Georgia Properties. Close To Shopping, Eating And New Stadium! MLS#6090554. Ansley Atlanta Real Estate, Llc. 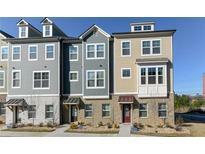 Greystone At Vinings - Complex Is Minutes Away From Suntrust Park! MLS#6085640. Exp Realty, Llc..
High Efficiency Systems. Walking Distance To Vinings Jubilee. MLS#6078544. Ansley Atlanta Real Estate, Llc. High Efficiency Systems. Walking Distance To Vinings Jubilee. MLS#6078542. Ansley Atlanta Real Estate, Llc. 2 Designated Parking Spots Next To The Elevator. MLS#6071400. Maximum One Realty Greater Atl..